We are determined to have at least one date night every month this year. We have at least one night a month where we have a babysitter , so we are planning ahead so our date nights can happen. 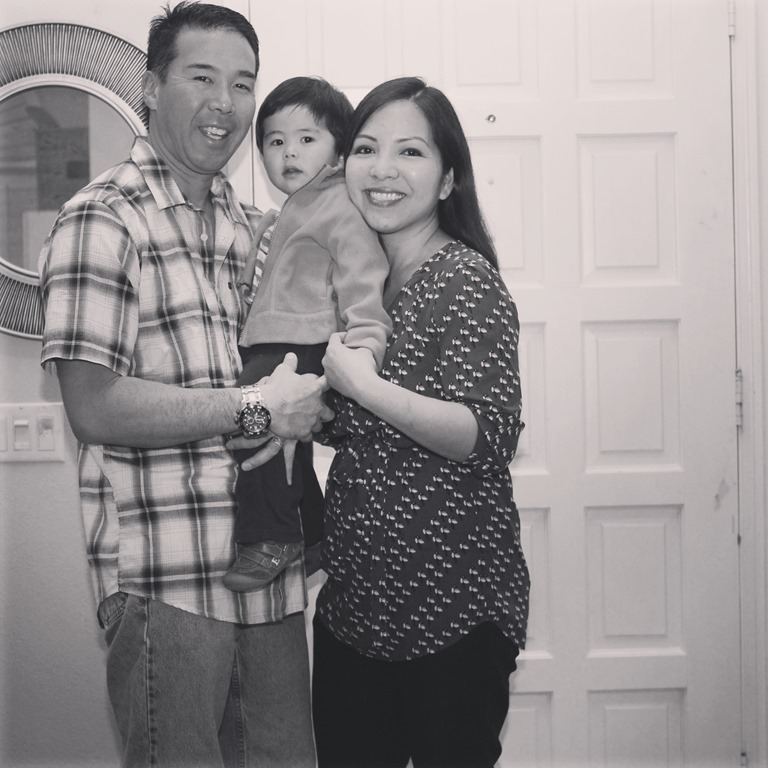 No more spontaneity once you become parents, ha! This date night was planned and on the calendar a month ahead. Family picture before dropping off little man to the babysitter. Then we headed out to dinner at Pei Wei. We originally wanted to eat at a sushi place but thought how crowded it would be on a Friday night, decided to go somewhere semi-quick. We got the mango California roll to share. 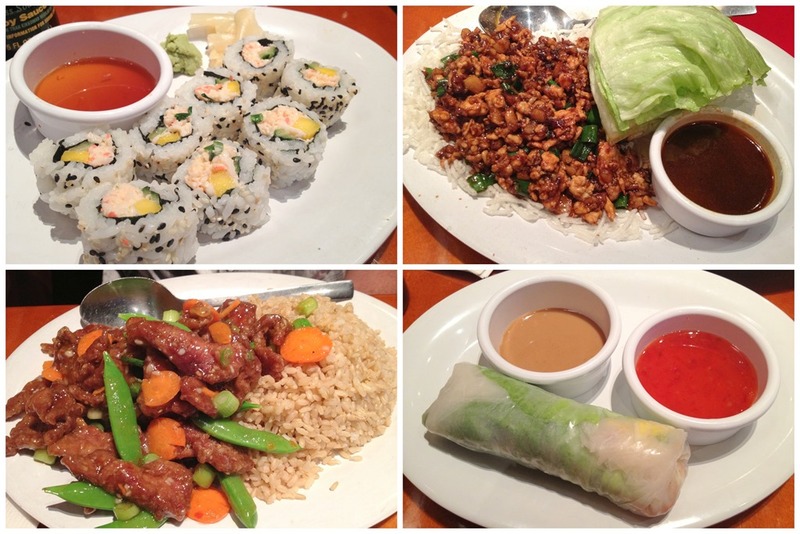 I got the chicken lettuce wraps and Vietnamese chicken roll. He got their special which was a spicy chicken stir-fry with brown rice. 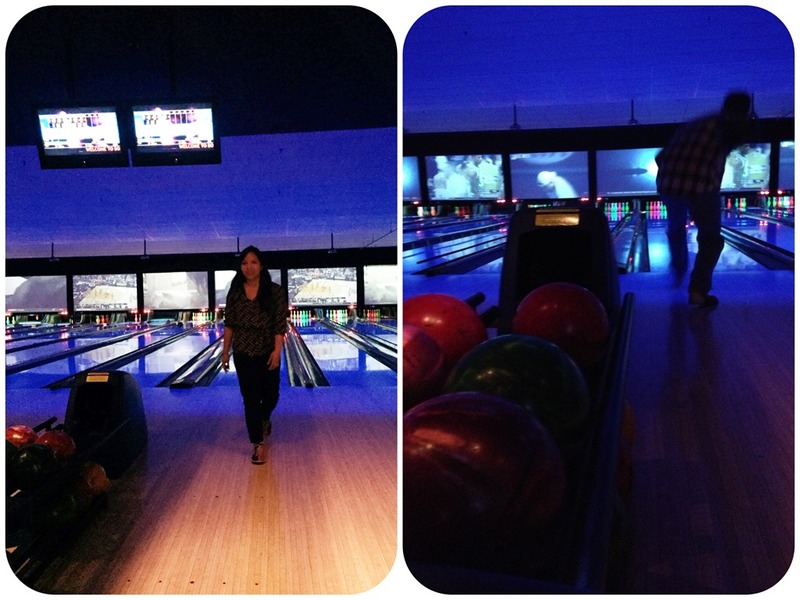 No room for dessert so we just headed out to the bowling alley. 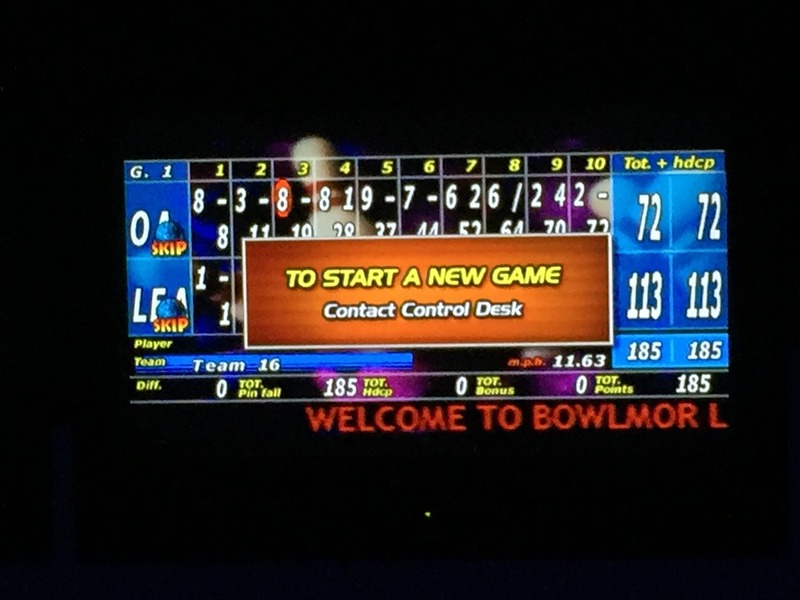 I haven’t gone bowling for years and so I was a little rusty. 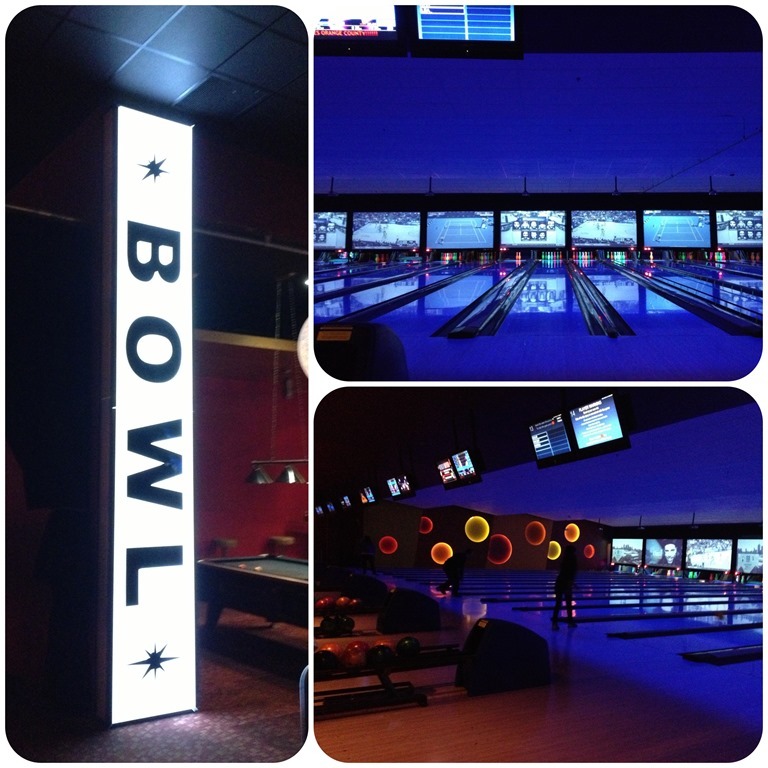 This place had good music, big screen TV on each lane and fun and upbeat atmosphere. 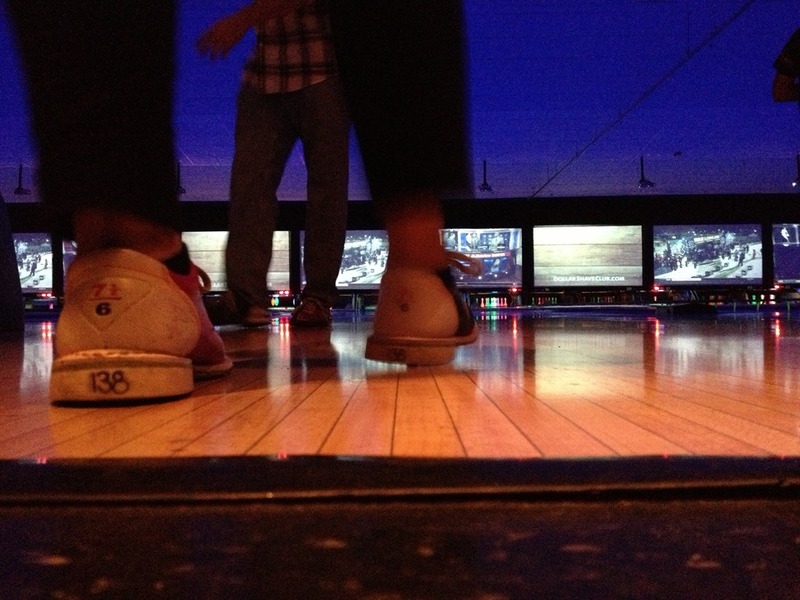 Planning to go back soon and take advantage of their all you can bowl night. To my surprise, because I’m not really a good bowler unless I’m playing Wii Games, I won!!! After bowling, we went to go watch the movie “Taken 3”. Do you go on date nights? What fun activities do you plan? 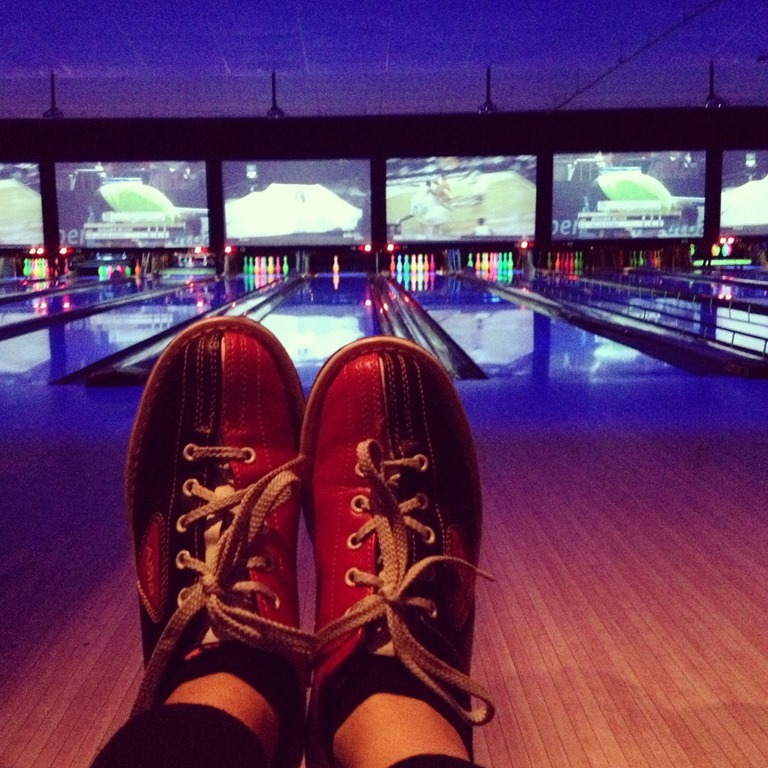 I never thought about a bowling date night! Great idea. We usually just go out to dinner! !